Will I be hiking at night or am I just hanging around camp? How well do I know the trail? What condition is the trail in; is it easy to locate and follow, or could it be dangerous in the dark? Is there a full, reasonably full moon? Will I miss too much scenery by travelling at night? Do I need an high intensity beam? If I plan on night hiking in an unfamiliar area and the trail is potentially questionable then my light of choice is the Black Diamond ReVolt. My main reason for purchasing the revolt was as the name suggests, this headlamp comes with rechargable batteries and can be recharged with a battery pack, mains power, solar panel or just about any other options provided you can plug the USB cable into a power source. 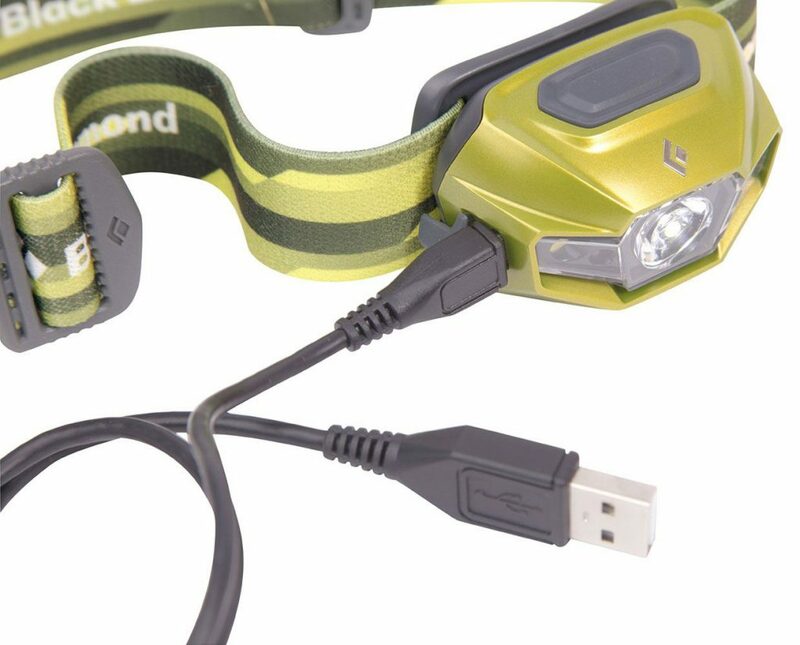 This headlamp can also be run on AAA batteries in addition to the included rechargeable batteries. Battery life will vary depending on the mode you use with Black Diamond claiming a burn time between 80-300 hours depending on the lighting mode that type of battery. In real life, good quality light will be provided for about ten hours on ‘hi beam’ mode and longer when using the lower light options. For most people who use their torch in a lower power mode for 2-3 hours a night, the batteries are likely to last 3-4 nights quite comfortably between recharges. My wife used this light on a two-week trip late last year for about an hour/night and didn’t need to recharge at all. It’s also a great option for extended trips where you don’t want to carry extra batteries. For me I will top up the batteries at home using mains power and on an extended trip use a portable power pack if necessary. This lamp also has a battery life indicator on the side of the headlamp that shows on start up so you will know how low your charge is getting as the trip goes on and when you need to recharge. The light provided by this headlamp while not the brightest on the market is still pretty strong and for most people you will not need the ‘hi beam’ mode unless you are doing some serious night time way finding. Light most headlamps the torch angle is adjustable so you can ensure your beam is focused where you need it and you wont blind your fellow hikers. The beam is brighter when used with non-rechargeable batteries as is the case with just about any light. Black Diamond claim a high power beam of about 70 metres but at this distance the light is very weak at the furthest point. The weight of this lamp is reasonably typical for a light running thee AAA batteries and while not overly heavy I do notice this when I switch from using my Petzl E+ Lite which is almost weightless at under 30 grams in weight. I must admit the pressure switches, which the majority of headlamps now use, to be annoying particularly when you use more than one light. I usually forget the mode sequence when I swap to another light and have to remember how many seconds or how long to push to get my light choice. 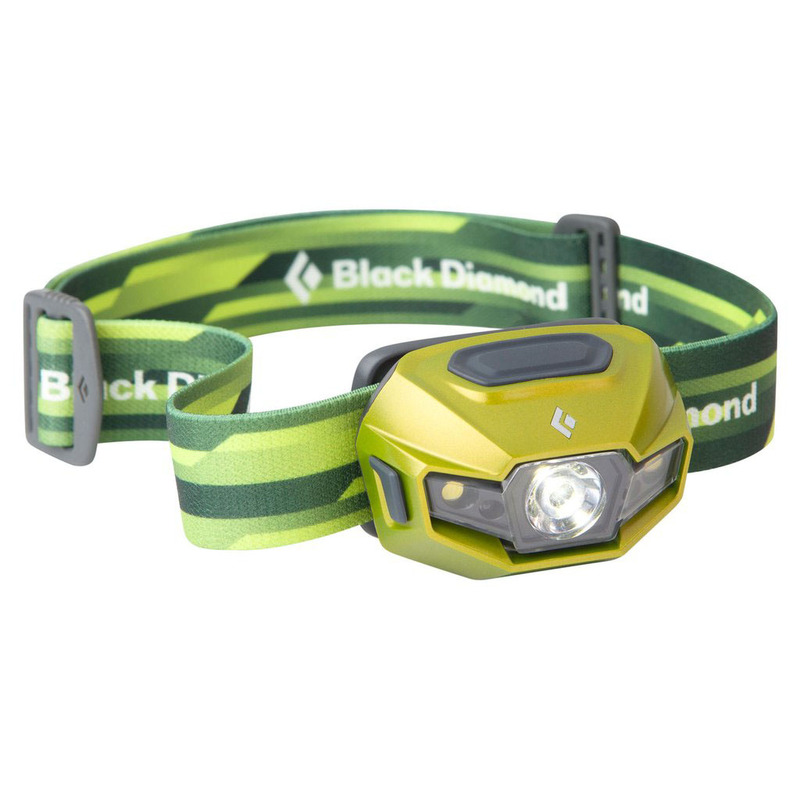 There are cheaper an brighter options on the market however the Black Diamond ReVolt can best be classed as a good allrounder that does everything well and has an excellent battery life which is better than most other similar lights available. I have been very happy with this purchase and am happy to recommend this partially or those doing longer trips where battery life is an issue. Battery life up to approximately ten hours on ‘high beam’ mode, longer for lower light options. This will last most people comfortably through a two-week trip unless you are doing some extended night time reading! The ability to recharge means that unless you are doing some really long nights you can top up this torch while you sleep and its ready to go the next day – no extra batteries needed.